The flexible workspace market in Asia-Pacific has been the fastest growing in the world over the past 12 months, according to a new study from Instant Offices. Supply of flex centres in the regions key cities has grown consistently above 15 percent with the only inhibitor to growth being a lack of available space for expansion. Supply of flex space increased by 16 percent over the last year with an estimated 8,600 centres now providing flexible office solutions across the APAC region. This influx of capital to the flex market, alongside increasing levels of demand from clients for flexible offices, has enabled rapid expansion in a short period of time. Of the 10 largest global markets for flexible office space, which incorporates co-working, executive suites, serviced offices and hybrid space, six now fall within Asia Pacific. Hong Kong remains the largest city for flex workplace with 340 centres identified. Despite its market maturity and size, the growth levels in Hong Kong remain some of the highest across Asia with an increase of 19% over the last year. This is nearly twice the rate of growth than that of London, for example. Bangalore, Singapore, and Melbourne also saw a 19%+ increase in the supply of new centres. More than 50 flexible workspace locations have opened up in Ho Chi Minh City in the past six months and supply here has grown by more than 30% in the last year as a whole. Instant’s data suggests that the market is seeing significant occupier demand thus far to more than match this additional supply of space, despite the rapid rate of growth. This year has seen the number of individuals placed into flexible locations across the APAC region increase by over 40%, when compared to the previous year. The market predictions also suggest that flex space will continue to develop in new, high growth markets, as it seeks to expand beyond the APAC region’s key financial hubs. The expansion of leading operators into tier 2 cities in the region such as Jakarta and Manila will become a dominant theme over the next five years. The flexible industry in Asia-Pacific remains heavily weighted towards independent and localised providers, however, Instant has seen that some larger operators are looking to expand quickly within the region or are making bold statements about future expansion plans. 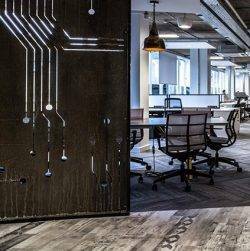 For example, WeWork has expanded quickly and has indicated that its growth is not likely to slow during the next 12 months as companies like Microsoft and Facebook have taken large numbers of desks within its centres across the region. Kieran Gartshore, Director, The Instant Group, said: “The growth rates for the supply of flex space across Asia-Pacific are among the highest in the world, and have been so for the past five years. 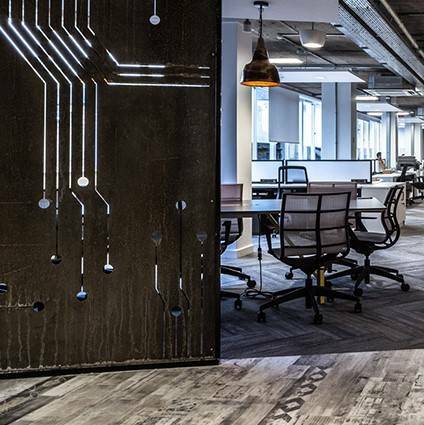 For investors in particular, it provides some of the most enticing opportunities to take advantage of the move towards flexible workspace solutions.